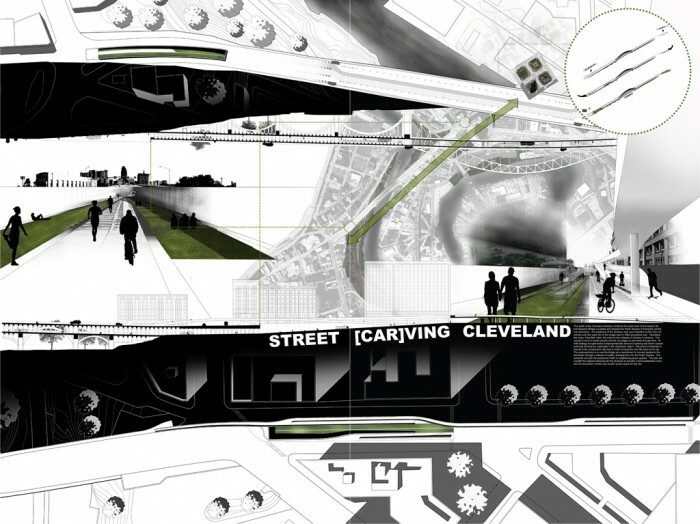 Overview: The death of the Cleveland streetcar rendered the lower level of the historic Detroit-Superior Bridge unusable and stripped the Public Square of being the central hub downtown. The existence of the streetcar was soon forgotten as the main entrances onto the lower tier of the bridge were in filled and paved over. 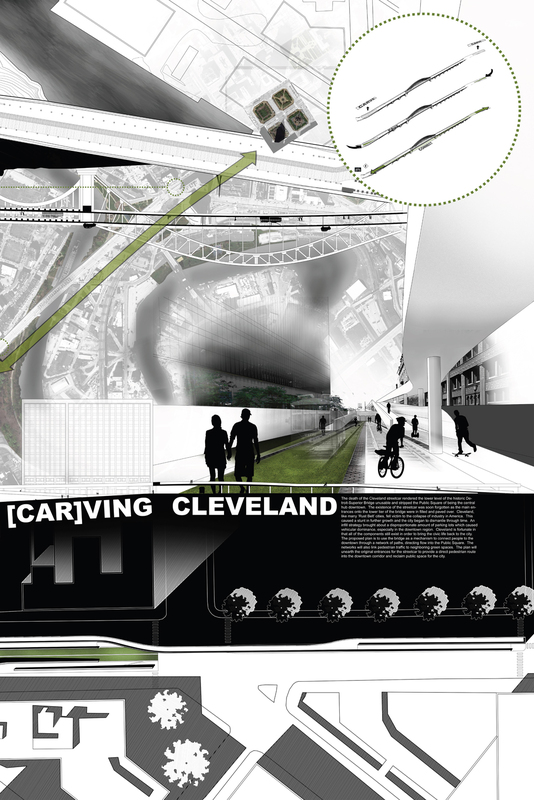 Cleveland, like many ’Rust Belt’ cities, fell victim to the collapse of industry in America. This caused a stunt in further growth and the city began to dismantle through time. An infill strategy brought about a disproportionate amount of parking lots which caused vehicular dominance, especially in the downtown region. Cleveland is fortunate in that all of the components still exist in order to bring the civic life back to the city. The proposed plan is to use the bridge as a mechanism to connect people to the downtown through a network of paths, directing flow into the Public Square. 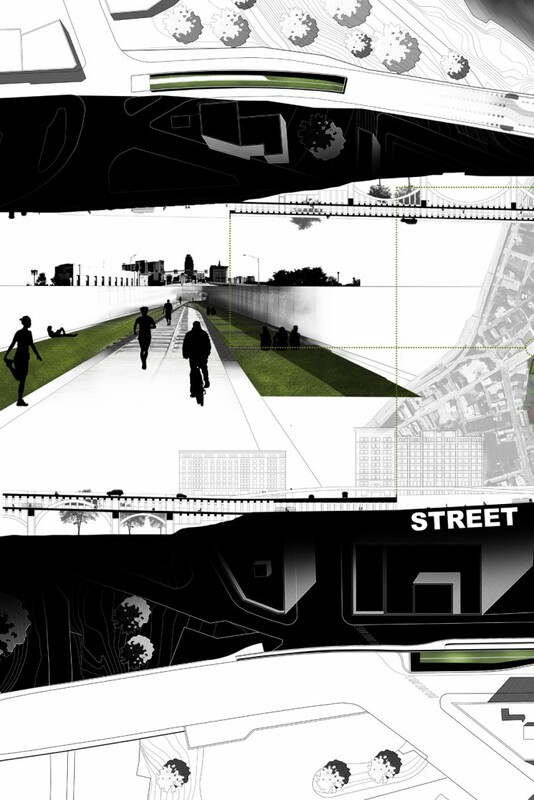 The networks will also link pedestrian traffic to neighboring green spaces. The plan will unearth the original entrances for the streetcar to provide a direct pedestrian route into the downtown corridor and reclaim public space for the city.